Version 2.25 supports a number of European languages like German, French, Italian, Spanish and Portuguese in addition to English. See Layout/Preferences/Languages for switching between languages. 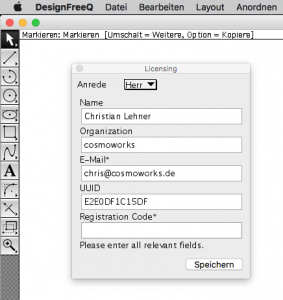 To get licensed, send us the UUID from the Help/Activation menu and we return you a registration code which binds your instance of DesignFreeQ to your computer. Read more on activation in our sales page. DesignFreeQ version 2.24 is available as a 64 bit app on Windows. Check out our download page. These spaceships were rendered by Rey.Hori using our DesignFreeQ modeler to create the basic wireframe geometry and processed with Shade, a Japanese 3DCG rendering package. The spacecrafts appear on the cover of Sci-Fi paperback The Eternal Flame and The Arrows of Time authored by Greg Egan, translated by Makoto Yamagishi and Tohru Nakamura, published by Hayakawa Publishing Inc in Japan. The Windows 10 version of DesignFreeQ is now available on the Microsoft App Store. Try one of the following links (first come first served). You will need a Microsoft account to redeem. 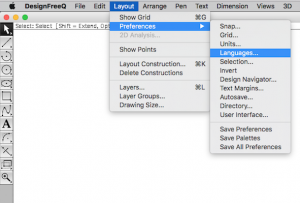 Kuwasawa Design School now uses DesignFreeQ in education. Founded by Kuwasawa Yoko in 1930, Kuwasawa Design School is famous for its form follows function principles, similar to and influenced by Bauhaus design. What is so special about DesignFreeQ? What is DesignFreeQ called in Chinese? 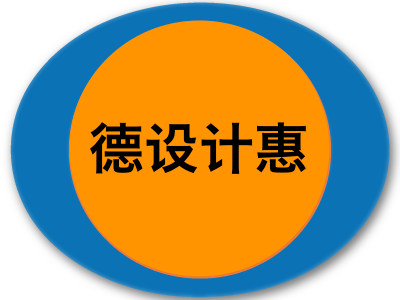 Our Chinese translation of DesignFreeQ is 德设计惠. Please let us know if you find a better translation.